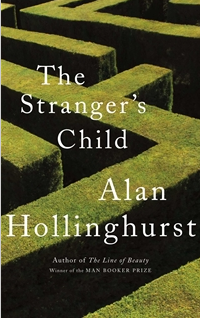 I have read all of Alan Hollinghurst’s books, and when my Kindle conked out on a recent L.A. trip, I was happy that he’s popular and mainstream enough to be sold in the airport. His books are always about gay culture in England, but then spin off into other themes. This one is about memory, the knowable, the losses of time, the large and fundamental hidden-ness of most of human experience, even when it’s our own. It starts before the first world war at an English country estate, when George Sawle, a young, gay university student brings home his raging crush, idol and lover, the poet Cecil Valance. Cecil is a little older at university, more aristocratic, more experienced, and burns through the Sawle children, seducing George’s sister as well. This brief first section forms the series of mysteries that the following four try to solve. It’s a wonderfully constructed novel. The story spans almost 100 years (not sure how modern-modern the last bit is, but people are texting) and slides elegantly into the future through picking up minor characters from previous sections or introducing new ones who intersect in oblique ways with the previous characters. Starting in section three, the point of focus is Paul Bryant, a young gay man (like Nick Guest, one of Hollinghurst’s provincial strivers) who will become Cecil Valance’s biographer. The later sections are a process of forgetting, losing and rediscovering in partial and fragmentary form the events of the first one. It’s both uncomfortable and poignant and feels quite true. The characters are losing their previous selves as effectively as the curious lose wealths of potential archival detail about Cecil. Possible spoiler (no one who knows Hollinghurst will be surprised): The biographers and later generations miss much more than they discover about Valance. It’s also interesting that Hollinghurst links gay experience up with this topic. He’s always been interested in the hiddenness of gay culture (I’m assuming that the “Stranger” of the title is in some senses the queer or the other) and it’s rather nice that the queer, here, stands in for all things that are hidden. Brilliant book. Hollinghurst so far just keeps getting more interesting.